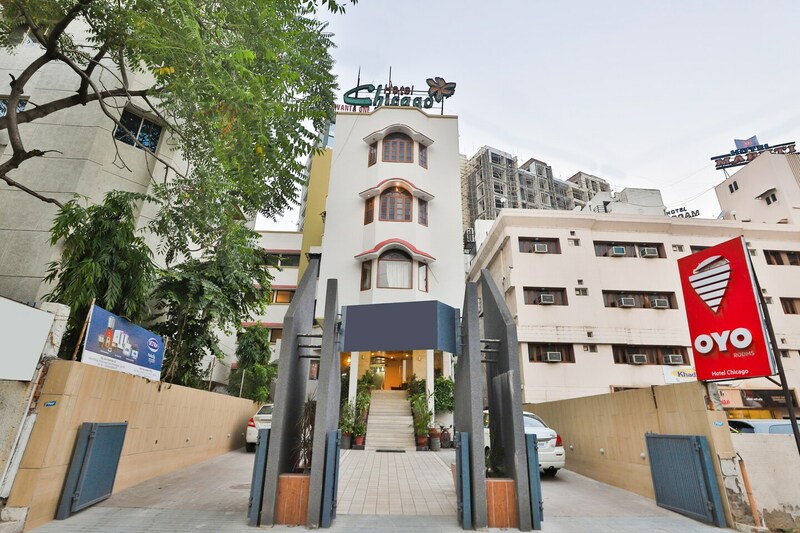 Hotel Chicago is located very close to IIM Ahmedabad. Rooms are bright and spacious. The walls are painted in pastel colours. Artistic paintings adore the walls adding charm to the decor of the room. Various amenities in the rooms ensure relaxing and comfortable stay. The rooms of the hotel are cozy and offer facilities like free internet and on-request laundry service. In-house restaurant offers delicious treats to the guests. Guests can also access the secured parking and dining area. Banquet hall and conference room can be used for functions and events. Sabarmati Riverfront Gandhi Bridge View Point, Avadhi Art, Nanamiya Hawa Tower, Jhulta Minara Sidi Bashir Mosque and Parimal Garden are a few attractions near the hotel.